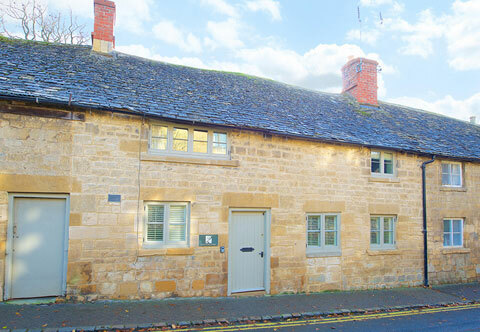 Cider Mill Cottage was built at the turn of the 18th century, originally as two cottages. Packed with character and charm, the cottage is delightfully furnished and benefits from a South facing enclosed private courtyard garden. Roadside parking close to the cottage. The front door of the cottage opens directly into the attractive, bright Kitchen. This room has real character with a cast iron fireplace (not used), old beams and a tiled floor. There are craftsmen built cupboards with wooden worktops and solid oak dining table with chairs. The kitchen is well equipped with Neff gas hob and electric fan oven, dishwasher, washer/dryer, microwave and fridge with freezer compartment. A door leads out to the garden. The double apex sitting room is lovely and bright with a door to the garden. The tiled floor is covered with a rug and the open log fire makes this room a cosy retreat. It is furnished with a comfortable two seater sofa and two armchairs. A large flat screen tv, DVD player and Ipod dock are provided. Bedroom 1 - A double aspect bedroom with King Size (5 ft wide) bed. Craftsman built bedside cupboards and chest of drawers. A walk in cupboard with hanging rail provides ample storage space. Bedside lamps, a wall mounted flat screen tv with DVD player. Bedroom Two - A King Size (5 ft wide) bed. This is the smaller of the bedrooms. Craftsman built bedside cupboards, a chest of drawers and a wardrobe. Bedside lamps and a flat screen tv with DVD player. The courtyard garden is south facing with a decking area and lighting over. Garden table and chairs with sun umbrella. DIY barbeque available.